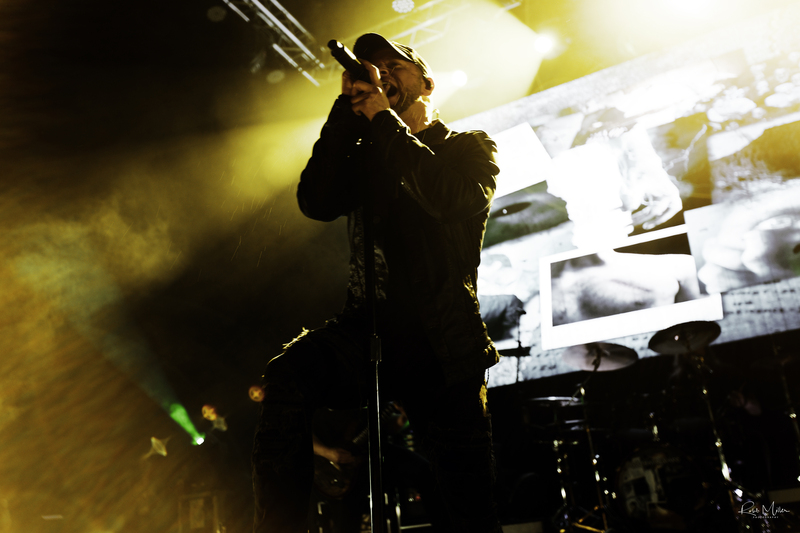 All That Remains brought their high energy show to Gas Monkey Live on Tuesday night and left nothing on the table from the intro to their first song to 90 minutes later. The band, despite having a 20-year career, are in the midst of moving forward after the untimely death of their guitarist and founding member, Oli Herbert, in October of 2018. Oli was an integral part of the band and lead singer Phil Labonte spoke openly about the emotional impact the loss has had on the band and how they struggled with whether carrying on was the right thing to do. Ultimately, they decided that they would play out their remaining obligated shows in Europe with replacement guitarist, Jason Richardson, whom Oli was a fan of during his tenure with Born of Osiris. The band dynamic fit well and the decision was made to carry on with Jason on guitar. All That Remains @ Gas Monkey Live, Dallas, TX. Photo by Robb Miller. This show was part of the first leg of U.S. dates with the new lineup supporting their latest album Victims of the New Disease. You could feel that the musical dynamic was different, but they still rocked as hard as I have ever seen them in the past. All the members were interactive with the crowd and there was a constant flow of crowd surfers and moshing in the pit to accompany the straight forward brutality of their music. I was pleasantly surprised to see the band as tight, and aggressive musically, after the events of the past six months. But, they have soldiered on with a new-found goal of making sure that Oli’s legacy is upheld and furthered through the music that he loved with his bandmates. In conclusion, this was an amazing night of metal with high energy from every band on the bill.